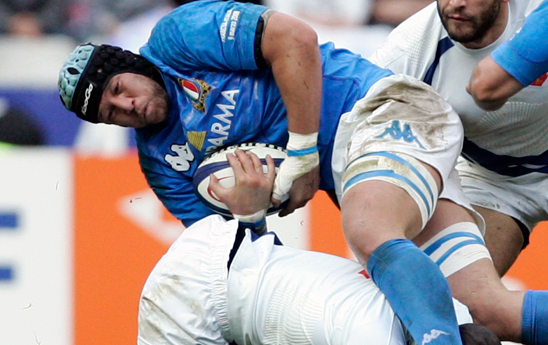 Italy have suffered a huge blow to their RBS Six Nations campaign, with second-row Carlo Antonio Del Fava expected to be out for at least four weeks. The 28-year-old injured his knee in a training session on Tuesday and will require minor surgery. With the tournament due to finish on March 20 it is highly unlikely that Fava will participate any further in the competition. The former Ulster player has made 43 appearances for Italy and has been an ever-present since making his debut back in 2004 against Wales. Fava’s replacement is yet to be announced, but former captain Marco Bortolami looks the favourite to step in for the match against England on Sunday. The news compounds the difficulties for Italy – they are already without inspirational captain Sergio Parisse for the entire tournament and a poor performance against Ireland last weekend sees them bottom of the table. Italy will have to improve considerably for the match against England, but a positive factor for the Azzurri is that they will be playing in front of their home crowd at the Stadio Flaminio.